Acupressure is an ancient healing art that uses the fingers to press key points on the surface of the skin to stimulate the body’s natural self-curative abilities. When these points are pressed, they release muscular tension and promote the circulation of blood and the body’s life force (sometimes known as qi or chi) to aid healing. Acupuncture and acupressure use the same points, but acupuncture employs needles, while acupressure uses the gentle, but firm pressure of hands and feet. Acupressure, continues to be the most effective method for self-treatment of tension-related ailments by using the power and sensitivity of the human hand. Acupressure can be effective in helping relieve headaches, eye strain, sinus problems, neck pain, backaches, arthritis, muscle aches, tension due to stress, ulcer pain, menstrual cramps, lower backaches, constipation, and indigestion. Self-acupressure can also be used to relieve anxiety and improve sleep. 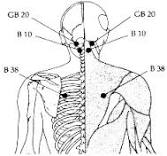 There are also great advantages to using acupressure as a way to balance the body and maintain good health. The healing touch of acupressure reduces tension, increases circulation, and enables the body to relax deeply. By relieving stress, acupressure strengthens resistance to disease and promotes wellness. The use of essential oils (extracted from herbs, flowers, resin, woods, and roots) in body and skin care treatments is known as aromatherapy. Used as a healing technique for thousands of years by the Egyptians, Greeks, and Romans, essential oils aid in relaxation, improve circulation, and help the healing of wounds. Aromatherapy diffusers are utilized to fill the massage room with the scent of the oils. Specific essential oils are blended by the aromatherapist and added to a carrier oil, such as almond oil, to be used during the massage. Each oil has its own unique characteristics and benefits. Use of this technique declined as the modern pharmaceutical industry developed. Known as seated massage, chair massage, or on-site massage, this technique involves the use of a specially designed massage chair in which the client sits comfortably. The modern chair massage was originally developed David Palmer, but the technique is centuries-old, with some Japanese block prints illustrating people having just emerged from a nearby bath, receiving massage while seated on a low stool. Seated massage includes bodywork and somatic techniques, such as shiatsu, amma, and Swedish massage, provided to the fully clothed client in a variety of settings, including businesses, airports, and street fairs. Techniques that utilize deep-tissue/deep-muscle massage are administered to affect the sub-layer of musculature and fascia. These techniques require advanced training and a thorough understanding of anatomy and physiology. The muscles must be relaxed in order to effectively perform deep-tissue massage, otherwise tight surface muscles prevent the practitioner from reaching deeper musculature. It helps with chronic muscular pain and injury rehabilitation and reduces inflammation-related pain caused by arthritis and tendinitis. It is generally integrated with other massage techniques . Ankylosing spondylitis (say "AN-kill-ose-ing spon-dill-EYE-tis") is a form of arthritis that is long-lasting (chronic) and most often affects the spine . It can cause pain, stiffness, swelling, and limited motion in the low back, middle back, and neck, and sometimes areas such as the hips, chest wall, and heels. Ankylosing spondylitis is more common in men than women. Although there is no cure, Regular Deep Tissue-Stretch treatment can usually control symptoms and prevent the condition from getting worse. Most people are able to do normal daily activities and continue to work. Complications of ankylosing spondylitis may include inflammation of the colored part of the eye (iris), called iritis, or trouble breathing due to curving of the upper body and stiffening of the chest wall. Developed in Japan, shiatsu is a finger-pressure technique utilizing traditional acupuncture points. Similar to acupressure, shiatsu concentrates on unblocking the flow of life energy and restoring balance in the meridians and organs in order to promote self-healing. With the client reclining, the practitioner applies pressure with the finger, thumb, palm, elbow, or knee to specific zones on the skin located along the energy meridians. The treatment brings about a sense of relaxation while stimulating blood and lymphatic flow. The benefits of this treatment may include pain relief and a strengthening of the body’s resistance to disease and disorder. Injuries from running are often the result of slow, subtle nagging aches that build gradually over time. Many of these aches go unnoticed until a real problem occurs. Theses "silent injuries" that runners suffer are the result of a wide variety of factors that lead to chronic problems over months and years of neglect. While subtle, these injuries do have warning signs you should recognize. Here is a checklist of the most common causes of running injuries and a few treatment recommendations. Massage & Stretching focused specifically on the Peroneals, foot flexors, extensors & plantar fascia as well as the lower back, gluts, hamstrings & quads. Energize will work out the lactic acid build up in your quads, hamstrings, gits, peroneals, gastrocs & feet for a quicker post run repair time. Reiki is a Japanese technique for stress reduction and relaxation that also promotes healing. It is administered by "laying on hands" and is based on the idea that an unseen "life force energy" flows through us and is what causes us to be alive. If one's "life force energy" is low, then we are more likely to get sick or feel stress, and if it is high, we are more capable of being happy and healthy.﻿Reiki. It was originated in the early 20th century by Mikao Usui, who had a life-changing experience of light and energy that he recognized as reiki--sacred life force--and that awakened his innate healing abilities. He developed a system of practices that enabled others to become effective healers. In a reiki healing session, the practitioner, trained to access and serve as a channel for the life force (ki or chi), places her hands on or just above the client’s body in order to activate healing energy within receptive points on the body. The practitioner’s hands move progressively with a passive touch through twelve positions on the body, remaining in each position for three to five minutes. As a harmonic flow of energy is strengthened, within the client and practitioner, healing occurs through the return of physical, mental, and spiritual balance. Location: Between the shoulder blades and the spine at the level of the heart. Reiki Healing Benefits: This calming point balances the emotions, relieves anxiety, grief, and other emotional imbalances. Location: One-half inch below the base of the skull, on the ropy muscles located one-half inch out from the spine. Reiki Healing Benefits: Relieves emotional distress, burnout, exhaustion, depression, and heaviness in the head. Location: Below the base of the skull, in the hollows between two large neck muscles, two to three inches apart, depending on the size of the head. Reiki Healing Benefits: Relieves depression, headaches, dizziness, stiff necks, and irritability. Myofascial Release [MFR] Therapy focuses on releasing muscular shortness and tightness. There are a number of conditions and symptoms that myofascial release therapy addresses.